The EIPL CD85 dehumidifier has been introduced to serve the demands of smaller sized areas without the need to use multiple units. Offices, Basements, Locker Rooms, Laboratories, Museums and Computer Rooms and other smaller scale facilities with ambient temperatures ranging from 3°C to 35°C can be cured of humidity and condensation problems efficiently and automatically. The CD85 incorporates a high capacity backward curved fan making the product ideal for ducted installations. 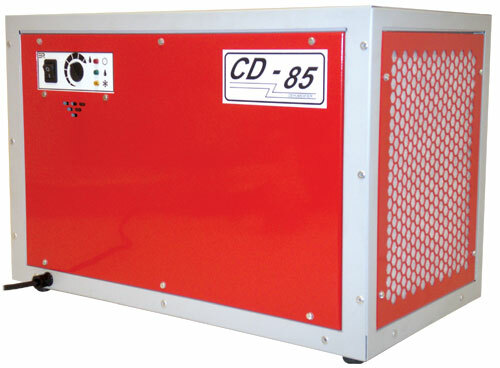 An Inlet air filter, condensate pump, and status panel are all standard with the CD85. The “Hot Gas” defrost system, ensures quick and efficient clearing of ice from the coil allowing a minimum operating temperature of 3°C.